In the deal Phoenix reportedly traded away forward Ryan Anderson and also acquired Wayne Ellington. 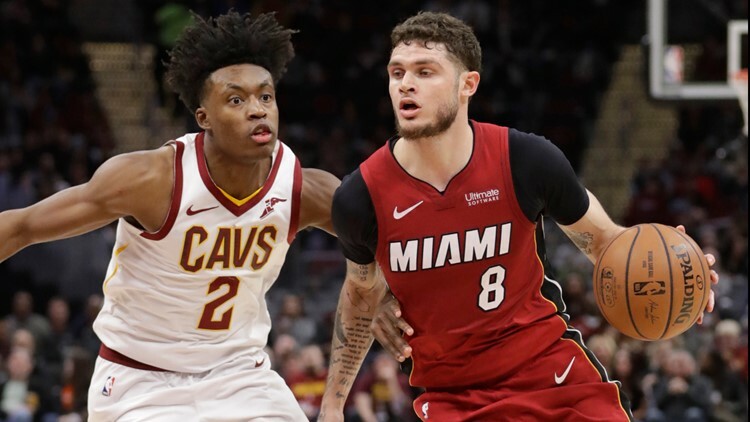 PHOENIX - One day before the NBA's trade deadline, the Phoenix Suns have traded for Miami Heat guard Tyler Johnson, per ESPN's Adrian Wojnarowski. Wojnarowski says the Suns will send forward Ryan Anderson to Miami in return. Anderson was acquired last offseason from Houston. The stretch power forward started for the Suns at the beginning of the season, but quickly fell out of the rotation. Johnson, 26, has averaged more than 10 points per game in 25 minutes per game with the Heat over the past three seasons. He's spent time at both shooting guard and point guard, but is more of a true shooting guard. This year, Johnson is averaging 10.8 points per game, 2.5 assists and is shooting 43 percent from the field and 35 percent from three. According to The Athletic's Shams Charania, The Suns also acquired wing Wayne Ellington, 30, who's on a $6 million expiring contract and could possibly be moved before Thursday afternoon's deadline. Ellington is averaging eight points in 21 minutes per game this season in 25 games. Miami was likely looking to dump Johnson's contract. After the 2015-16 season, Johnson became a restricted free agent and the Brooklyn Nets offered a four-year, $50 million deal. The Heat matched. Johnson has a $19.3 million player option for the 2019-20 season, an option he'll likely take as his production has largely not met the Heat's expectations when it matched Brooklyn's offer sheet. Anderson has one year and $21 million left on his contract. Earlier in the week, there was speculation about the Suns getting involved in a potential trade with the Lakers and Pelicans in order to get point guard Lonzo Ball. Ball's father spoke out and said if Lonzo couldn't be in Los Angeles, he wants him to be in Phoenix. But, the Lakers have pulled out of trade talks with the Pelicans for Anthony Davis at this time. Johnson joins a backcourt that consists of Devin Booker, Troy Daniels, Elie Okobo and De'Anthony Melton. Johnson should see pretty significant minutes.